This Friday, January 6th from 6-8pm, the Collaborative is showcasing Bill Crandall's excellent Místochord at the Third Floor (above Slim's Diner), painter Tanya Renne at Hank's Cocktail Bar, and Literary Cocktails with Chantal Tseng at Petworth Citizen, along with special shopping discounts. Upshur Street Books - 10% off from 6-8pm. 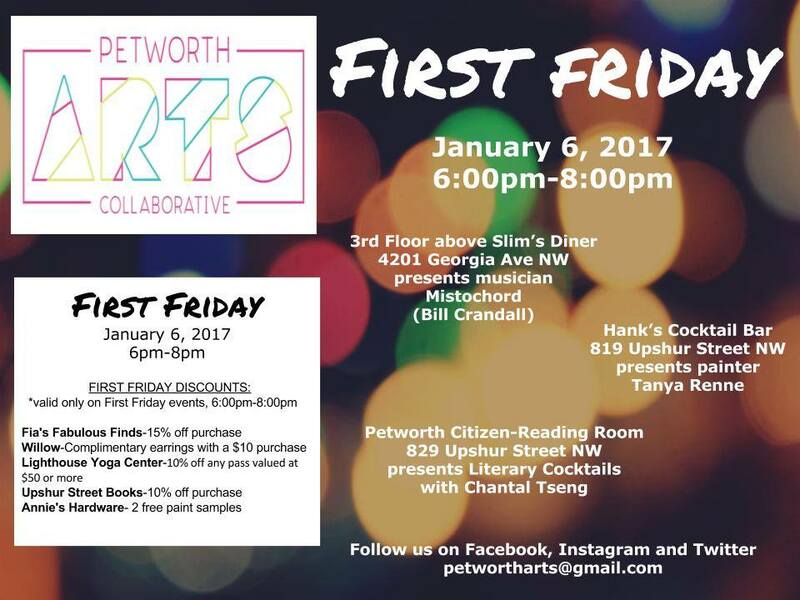 If you're interested in having your artwork or music showcased at a First Friday event, fill out this form and the Petworth Arts Collaborative will get back to you.